BeckerTime is proud to offer this GENUINE WELDER timepiece. 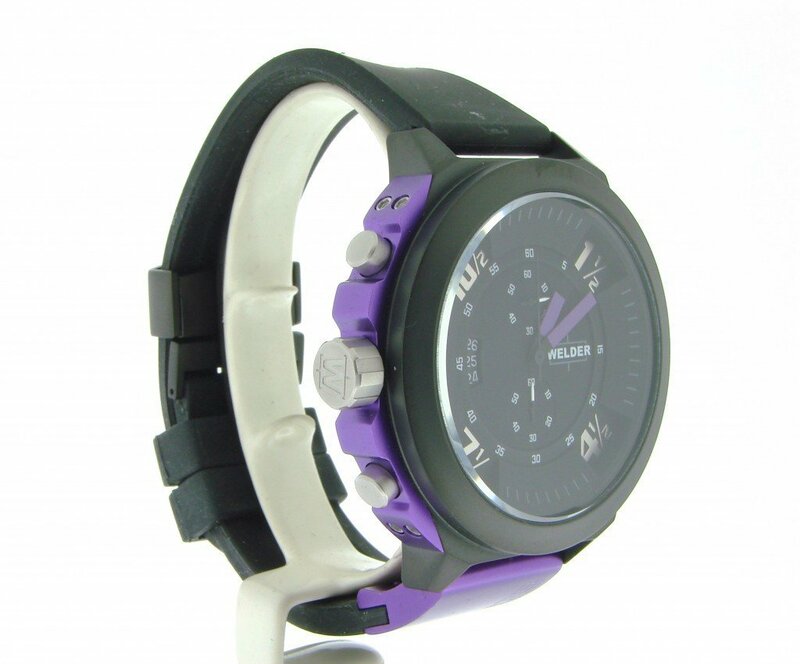 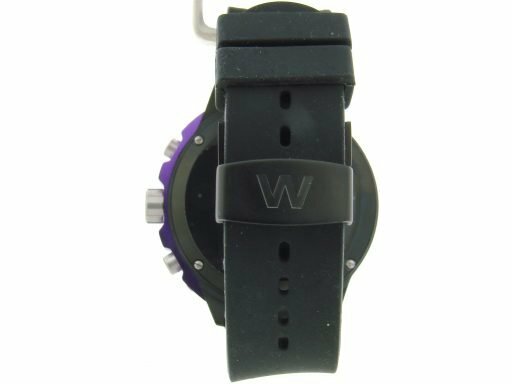 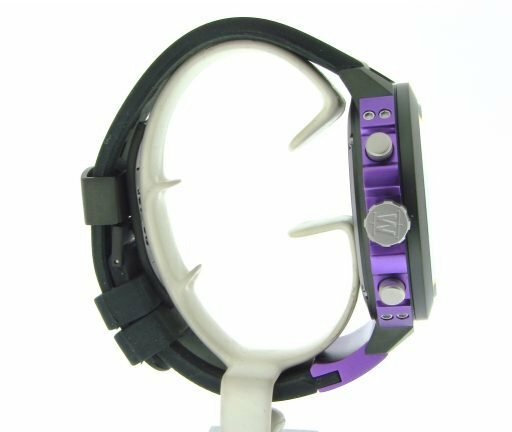 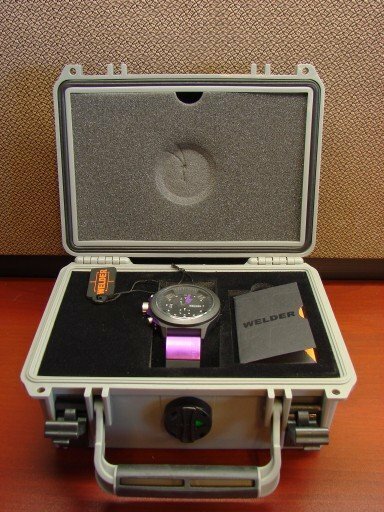 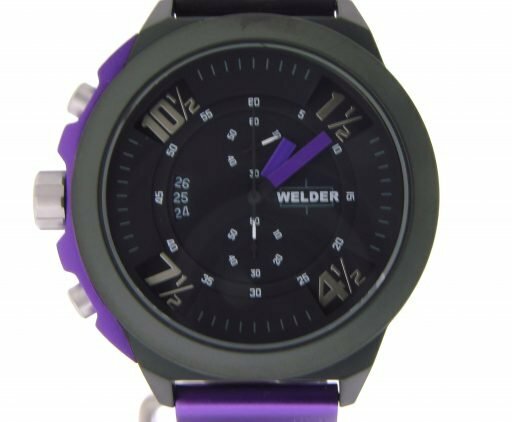 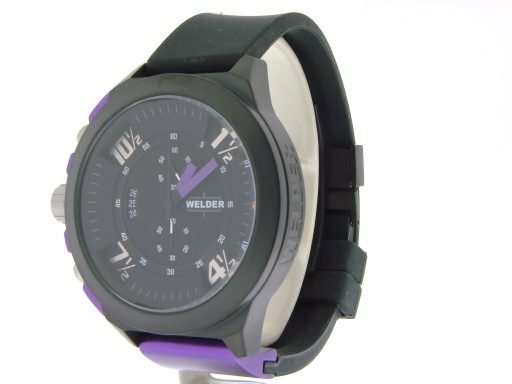 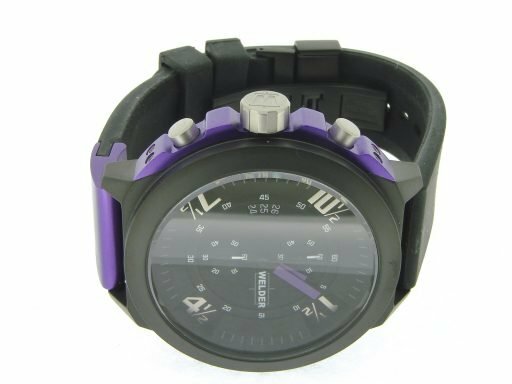 it is a Mens Welder K33 9303 Steel Chrono Watch w/Purple Rubber t hat is guaranteed to take your breath away! 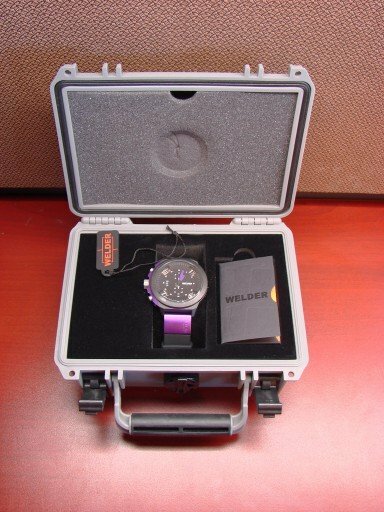 This watch comes with original Welder long box with seller warranty card and instruction manual! 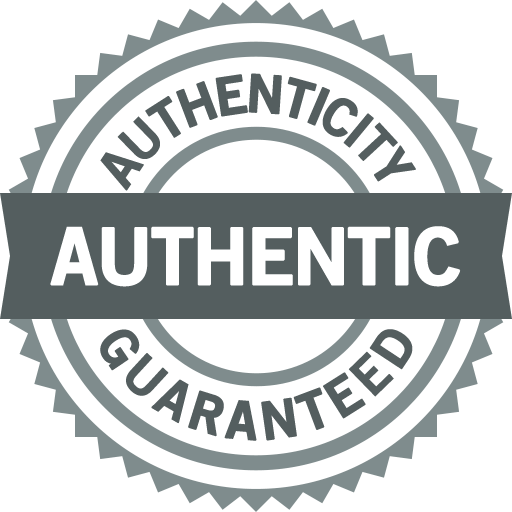 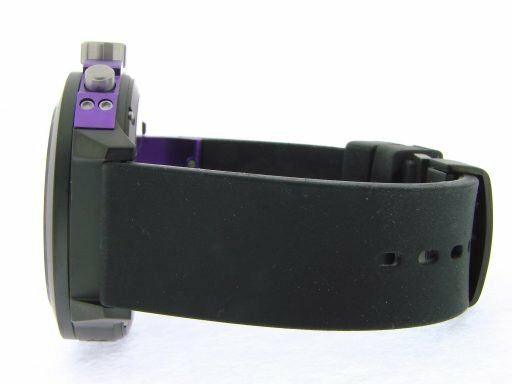 Don’t let this one get away … Buying a Genuine Rolex in this good of condition at this price doesn’t happen often … This type, if all factory, would sell brand new for more than $940.00 today. 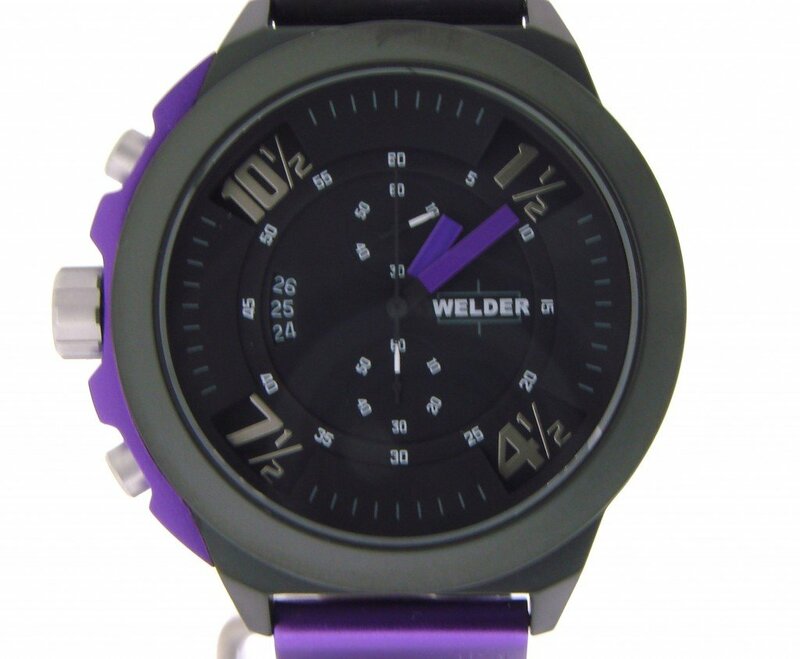 Movement Original Welder precision quartz chrono movement. 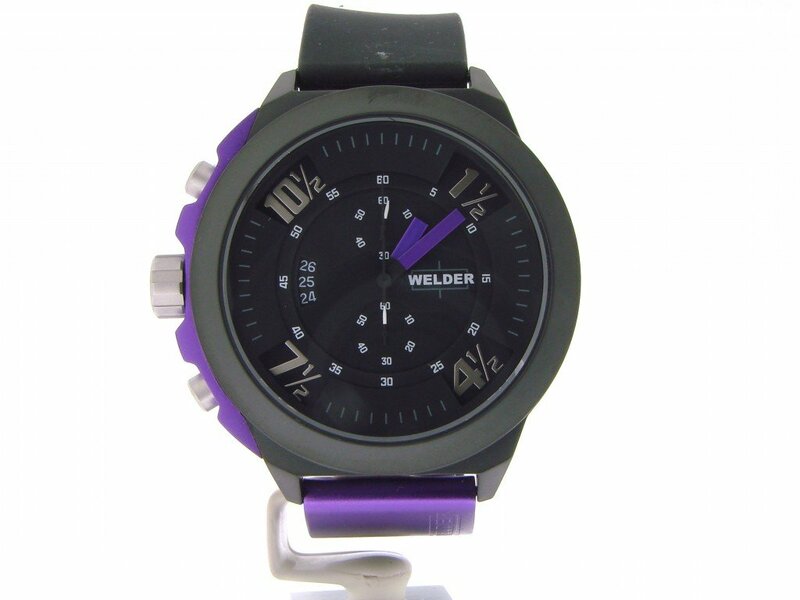 Dial Original Welder black chronograph dial with silver numerals and purple accents. 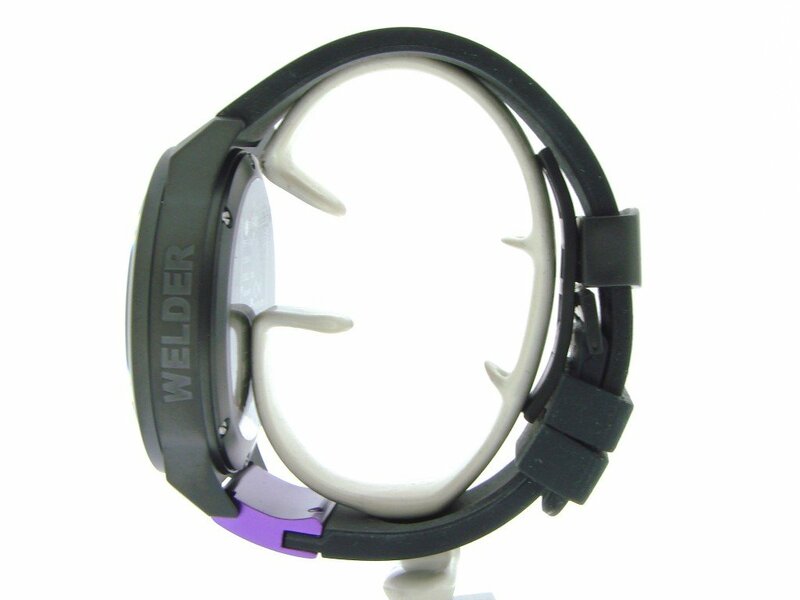 Bezel Type Original Welder black high grade stainless steel (316L) bezel. Crystal Original Welder mineral crystal. 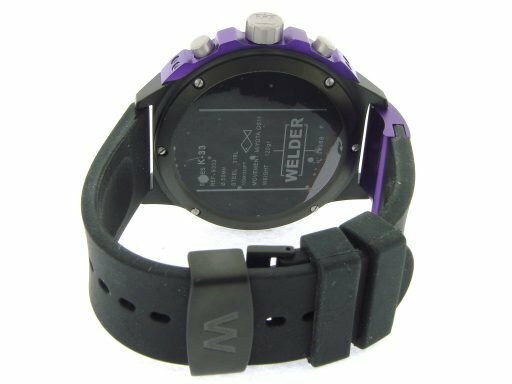 Case Original Welder black IPV ion plated Stainless Steel with Purple accents stainless steel case with purple accents is brand new. Band Black rubber strap with signature deployment buckle. 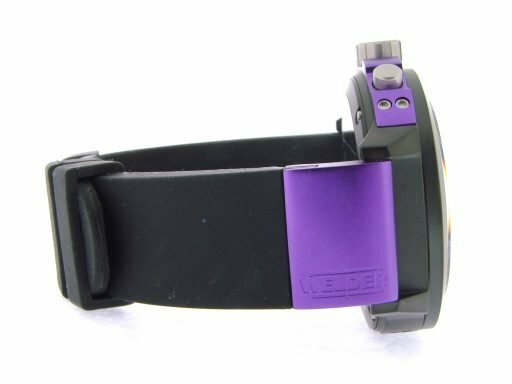 Wrist Size The clasp is adjustable to fit a 7 1/4” up to a 9″ wrist.